Relax in luxury at your newly remodeled direct oceanfront condo. Watch gorgeous sunsets from your large private lanai! See whales jumping in season! Condo has King size four poster bed. Ceiling fans in every room! Very nice sectional sofa! Condo comes fully equipped with all basic amenities including starter supplies of soaps and paper products. Close to shopping, restaurants and all beach activities! Near weekly Farmers Market, Health food store, local coffee shop and beach park. Minutes to Kaanapali, Lahaina and Kapalua Bay! Eclectic neighborhood with oceanside walking and jogging paths. You will not be disappointed! Douglas S. from Lahaina, HI United States recommends this vacation rental. We really enjoyed this particular unit--and the overall facility. It was within easy walking distance to nearby shopping and approximately one mile from the north part of Kaanapali beach area. The property was not crowded and was generally quite serene. Very enjoyable! Highly recommend. Jihoon L. from Lahaina, HI United States not recommends this vacation rental. Overall great experience. Place was clean and nearby beaches. Lonelle was great and went above and beyond to help us out. Aloha! I think you meant "Yes" to the recommendation! Hope to see you again! Lonelle was great to deal with on our unit. It was just as pictures showed & very clean. Complex was quite except one early morning and issue was taken care of immediately. Nice grills & pool- sun deck area. Laundry on site... would’ve been nice to have in unit but no biggie. Good price as well!! Close to ocean, beach , shops and restaurants. Would definitely recommend!! A guest from Newbury Park, CA US recommends this vacation rental. The Condo exceeded expectations. Great location, clean, fully updated and the view was amazing. We spent most of the time on the Lanai. We would definitely return. "A Great Trip To Maui"
A guest from Alhambra, CA United States recommends this vacation rental. We arrived and were blown away because it was more than we had expected! The condo was impeccable and the VIEW from our unit was absolutely spectacular. We didn't realize that we would be able to hear the ocean from our unit. What a pleasant surprise! We had a minor problem within the unit and once we called, it was handled immediately. Great ocean view without the crowds! eileen b. from Saint Louis Park, MN United States recommends this vacation rental. We've visited Maui several times and prefer to stay in this area north of Kaanapali. We stayed in #216 Mar 3-6, 2018 & saw whales from anywhere in the condo. We would definitely return! It is nicely renovated, well kept & has lots of beach/water paraphenalia to borrrow. It is also walking distance to a beach, grocery & Fish Market. 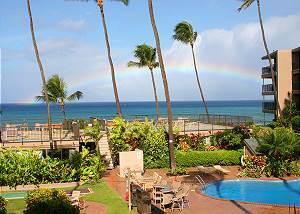 Tara W. from Lahaina, HI United States recommends this vacation rental. Clean, cozy and beautiful! You can walk to multiple beaches, and the Fish Market is a few blocks away with excellent poke and oyster shooters. The sunrise is stunning every morning. Skip the busy resorts and stay here! Perfect location & clean, beautiful condo! Given that we were there in September, one of the hottest months in Maui, I was concerned about the lack of ac. But, with the fans blowing and the ocean breeze, it was no problem at all. This condo is in a great location, far enough away from Lahaina so it is quieter, but also close enough when we wanted to go out to eat and/or shop. Lonelle was very quick to respond when I had questions and even left a welcome gift of some macadamia nuts, yum! Mahalo for your excellent hospitality!! Kristen B. from East Wenatchee, WA United States recommends this vacation rental. 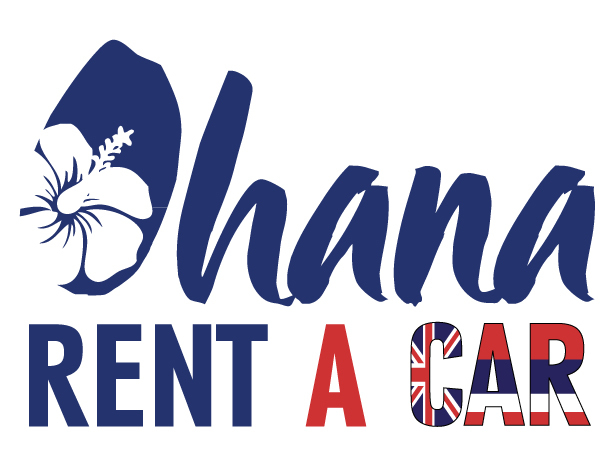 Been to Maui 4 times prior, first time using this service to rent a condo direct versus staying at a resort. Experience was fantastic- our agent, Lonnie communicated well with us, everything was as it should be. Will definitely use this service again. Our condo was perfect for my husband and I. The view and amenities was just as shown on the booking info- no disappointments whatsoever- highly recommend. Mahalo Kristen! So glad you enjoyed! Hope to see you again soon! A guest from Gibsons, BC Canada recommends this vacation rental. The place was very clean, well equipped and had a wonderful view. Everything went so smooth checking in and out, instructions were clear and we had a wonderful time. Easy driving distance to great beaches and shopping in Lahaina. We would definitely stay here again! Mahalo for the kind comments! See you again! Great location just north of town. Our host was very helpful and the unit was exactly what we hoped it would be. Mahalo Chuck! Hope to see you again very soon! Mary W. from Nevada City, CA United States recommends this vacation rental. We rented a unit in Hale Ono Loa because we had friends that had already booked in the same complex. Our condo was nicely decorated & had a great view from the lanai...lots of whale watching & many things within walking distance if you didn't want to take a car. Unfortunately, I fell up on the sun deck & broke my ankle early in our stay...but that made me appreciate my view....and the elevator & the luggage cart even our unit was on the 2nd floor down at the far I was still able to get out & about a bit with help. The swimming pool is not heated (or not heated much). The Internet in our unit was great (our friends in other units were not so lucky)....and 216 has obviously been remodeled making it very nice compared to one of the others we saw. My only complaint with our unit was the TV...although it was a big flat screen with cable the remote was hard to figure out & there were no instructions of any kind, so it was always a challenge to get it to turn on correctly...a cheat sheet there would be nice. A guest from Eureka, CA United States recommends this vacation rental. The condo is in a great location. Very close to shopping and restaurants. We were able to walk to most locations close to us. Very clean well maintained. We loved the view from our lanai. Will definitely be staying here again! A guest from Hillsboro, OR United States recommends this vacation rental. A guest from Ramona , CA United States recommends this vacation rental. Beautiful location, well maintained, just the right size for me and my husband. We look forward to returning! Thomas M. from Bundoora, VIC Australia recommends this vacation rental. Loved staying at HOL#216. It had everything we needed and the lack of air conditioning was not a problem with the breeze. Everything worked properly and it was comfortable and clean. The flyscreen on the door was a bit torn in the bottom corner but other than that I have no complaints. but other than that Would highly recommend staying here - the sunset views are unbeatable. 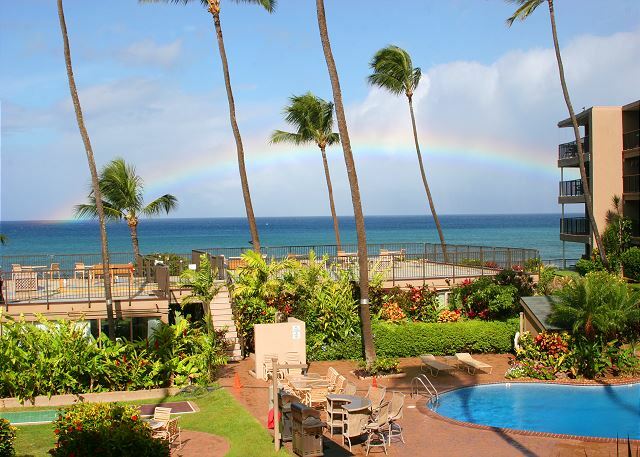 Crystal L. from Lahaina, HI United States recommends this vacation rental. Lonnie at Kaleialoha Rentals went above and beyond in setting up this last minute rental for us at Hale Ono Loa. We could not have been happier. This is a wonderful place to stay near Kaanapali. The complex is smaller, comfortable and very friendly. We felt at home our entire stay. The Condo is tastefully decorated with many amenities. There is plenty of beach equipment including Boogie Boards stored at the unit. The balcony is roomy with unobstructed views of the ocean. We were able to comfortably watch whales breaching right offshore. Just a short walk away are many great places for food including the Farmers Market Maui, Okazuya and Fish Market Maui (you simply can't leave the islands without trying Poke). A larger supermarket is just a 15 minute walk. I highly recommend this unit and Kaleialoha Rentals.